This leaflet has been produced to give you general information about your radiotherapy (CT) Computed Tomography planning at Castle Hill Hospital. Most of your questions should be answered by this leaflet. It is not intended to replace the discussion between you and your doctor, but may act as a starting point for discussion. If after reading it you have any concerns or require further explanation, please discuss this with a member of the healthcare team caring for you. It contains some general information about radiotherapy and what to expect during your first few appointments. You will receive more detailed information about your individual treatment in further leaflets and in discussion with your healthcare professionals. Radiotherapy is a very specialist treatment and many patients need to travel long distances to receive this treatment and the expert care required. The department consists of many healthcare professionals with dedicated roles, which will be discussed further in this leaflet. Within the Queen’s Centre for Oncology and Haematology there is a Health Centre that offers various support services, including relaxation techniques and more practical advice about your diagnosis and treatment. There is also a Chemotherapy Day Unit, outpatient clinics and five wards. In addition, there is a café serving small meals, snacks and refreshments; a small shop and vending machines for drinks and snacks. The main hospital has a canteen for larger meals. Computed Tomography is sometimes called a CAT or CT scan. The scanner uses X-rays to take a series of very detailed pictures of sections of the body. The X-rays pass through the body and are detected by sensors on the other side of the machine. This information then goes to a computer that produces a picture of the structures of the inside of your body. Most radiotherapy treatments are planned using a CT scan. In order to do the planning, you will need to have a CT scan undertaken in our department, even if you have had other CT scans recently. This scan is used by the doctor to plan your individual treatment, using the information from the CT scan, making it as accurate as possible. When you attend for this appointment, one of the Radiographers will explain what you should expect during your scanning appointment and any further appointments. They will also discuss the treatment side effects you may experience and how best to manage these. This is a good opportunity to ask any questions you may have about any part of your treatment or planning. If you bring anyone with you for this appointment, they will be given the opportunity to be present for this discussion; however they will not be able to accompany you into the actual scanner. 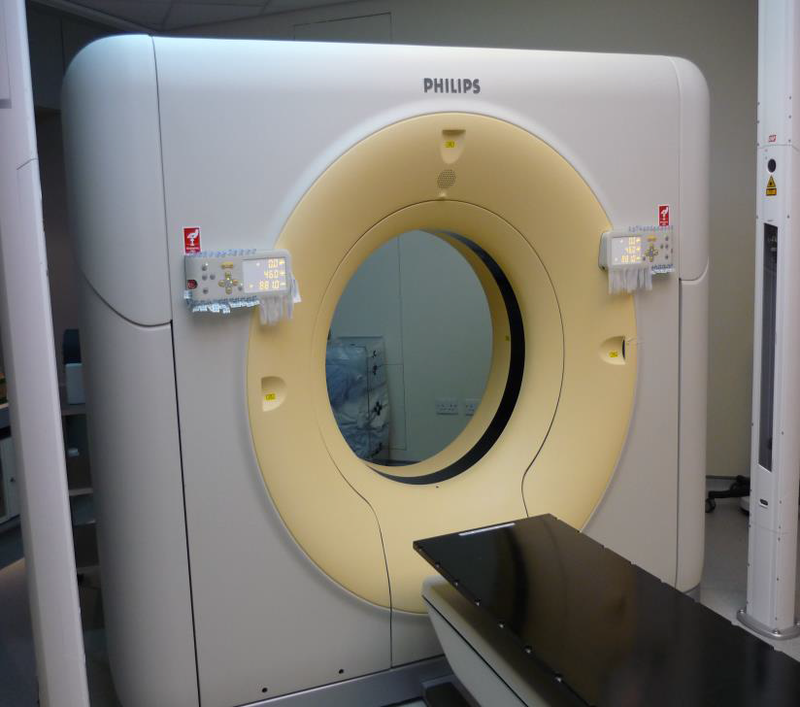 The CT scanner (Figure 1) is shaped like a doughnut measuring approx 3 feet wide and about 10 inches deep. The bed you are laid on will pass through the hole a few times during your scan and you will hear a noise similar to that of a washing machine. The scans are generally very quick, approximately 5-10 minutes; however the length of an appointment can be longer than this, depending upon which area of the body is being scanned. The part of your body that is to be scanned will need to be exposed and we will endeavour to maintain your dignity as best we can. You may be offered a gown to wear, depending upon the area to be scanned. During this appointment, pen marks may be drawn onto your skin by the radiographers and some sticky markers that show up on the scan may also be placed on to your skin. Most of this appointment will be spent ensuring that you are in the correct position for the scan. This will be the same position that you will be in for your treatment, so it is important you let us know if you are uncomfortable or feel that you will not be able to hold this position for any length of time. The radiographers and sometimes a doctor will be in the room while you are being positioned, however they will need to leave the room whilst the scanner is switched on. Generally there is no special preparation required for CT scans and you may eat, drink and take any medication as normal. However, in certain circumstances, depending upon the area for scanning and treatment, you may need to have your bladder full and your bowel empty. You will be asked to fast for two hours and then drink 200ml (one full cup) of water before it. Any preparation will have been explained by the doctor before you attend for your scan. Some patients may need to have an injection before the scan. The injection contains a contrast medium, which is like a dye and helps to show up some of the organs in your body better. If you need to have this injection, a needle will be placed into your arm or hand; the injection will be given through this once you are on the CT couch. The injection should not cause you any problems but it can create a warm sensation through your body for a few minutes. It is important that you inform staff prior to attending the appointment if you suffer from any allergies, are diabetic and taking Metformin, have any heart conditions or suffer from asthma. It is also important that you let staff know if you have had a previous allergic reaction to any scan injection. A member of staff will attempt to contact you by telephone prior to your appointment to discuss these points. Female patients aged between 12 and 55 years of age will be asked if they are or might be pregnant. If at any point during your radiotherapy treatment you suspect that you may possibly be pregnant, you must inform your treatment team immediately. 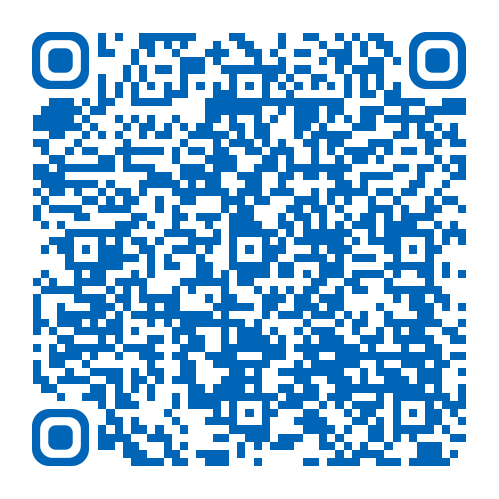 You will be offered other leaflets that have more specific information about the area you will be having treated. There are also further leaflets available about our Health Centre and other services offered by the Queen’s Centre for Oncology and Haematology. Provide information from specialist nurses on all aspects of cancer and its treatment and on the practical and emotional aspects of living with cancer.